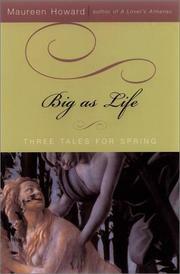 A trio of tales in the second of Howard’s novels (after A Lover’s Almanac, 1998) planned for each of the seasons. Spring, in her sophisticated vision, is a time of imaginative generosity, generative creation, and the bright moment when human finitude is brought into relief. The author brings a characteristically tender and exacting eye to the natural world. “Imagine carp—flickering metallic orange, not gold,” she begins. “Natural, by design so natural.” In “Children with Matches,” Marie Claude, a historian grappling for her place in the academic establishment, is involved with Hans Gruen, an official in US international relations, whose worldwide ramblings and erratic availability daunt her efforts to find a home for her heart. In “The Magdalene,” the life of Nelly Boyle, who comes to the States during the Depression, serves as counterpoint to that of her cousin Mae—and also serves to illustrate both spiritual and material ways of coming to rest in a world of one’s own making. The strongest piece—and the most artistically personal—is “Big as Life,” which begins by narrating the life and varied fortunes of naturalist John James Audubon as seen through the eyes of his wife Lucy. By tracing the fate of the illustrations for his magnificent Birds of America right up to the present day, and by honing her story to follow the life of Long Island artist Louise Moffett, Howard fashions a narrative that recalls the history of the speaker’s own association with the massive volume. This simple version of one woman’s encounter with an object—an encounter that occurs in a specific place of memory and imagination—is remarkable testimony to the anatomy of the artistic imagination and bears all the passionate, particular traits of a personal philosophy. Howard’s abundant career has been notable for its inventive amplitude—a feature that her most recent gathering demonstrates with powerful, if occasionally allusive, storytelling.